Every pre-owned vehicle purchased at St. James Volkswagen, regardless of make or model, comes with our St James Advantage Program Privileges. It’s ok to change your mind, it happens and we understand! If the car you took home is not quite what you thought you wanted, we will work with you to exchange it for another that is better suited to your needs. * some conditions apply. See dealer for details. 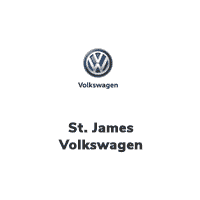 St. James Advantage Program applies to pre-owned vehicles only.